For the tennis tournament, see French Open. The Open de France is a European Tour golf tournament. Inaugurated in 1906 it is the oldest national open in Continental Europe and has been part of the European Tour's schedule since the tour's inception in 1972. The 100th edition of the event was held in 2016. Originally played at La Boulie, the tournament has been hosted by many different venues, but since 1991, it has been held at the Le Golf National near Paris every year except for 1999 and 2001. Since the turn of the Millennium the Fédération Française de Golf has made a concerted effort to enhance the stature of the event. In 2004 qualifying tournaments were introduced on the model of those for The Open Championship and the U.S. Open and were open to professionals and amateurs. The prize fund rose from €865,000 in 1999 to €4 million from 2006 to 2009, putting the Open de France in the top group of European Tour events (excluding the majors and the World Golf Championships, which are co-sanctioned by the U.S.-based PGA Tour). The prize fund was €3 million in 2015 and €3.5 million in 2016. It rose to US$7,000,000 in 2017 after joining the new Rolex Series. Starting in 2019, the tournament will take place in October. It also will no longer be a Rolex Series event. From 2014 to 2018, it was one of the Open Qualifying Series events for The Open Championship with the leading three (four in 2016) players, who had not already qualified, qualifying for the Open. From 1970 to 1973 the first two rounds were played on two different courses, everyone playing one round on each course. After the cut, one of the courses was then used for the final two rounds. In 1970 Chantaco and Biarritz-Le Phare were used, with the final two rounds played at Chantaco. In 1971 La Nivelle and Biarritz-Le Phare were used, with the final two rounds played at Biarritz-Le Phare. In 1972 La Nivelle and Biarritz-Le Phare were used, with the final two rounds played at La Nivelle. In 1973, two courses at La Boulie were used, La Foret and La Vallee, with the final two rounds played on La Vallee. In the 1969 playoff Garaïalde beat De Vicenzo at the 3rd extra hole. In the 1964 playoff De Vicenzo beat Legrange at the 5th extra hole. In the 1958 playoff Van Donck beat Henning 137 to 141 in the 36-hole playoff. In the 1936 playoff Dallemagne beat Cotton 139 to 140 in the 36-hole playoff. In the 1929 playoff Boomer beat Compston 141 to 142 in the 36-hole playoff. In the 1925 playoff Massy beat Compston 143 to 150 in the 36-hole playoff. In the 1921 playoff Boomer beat Massy in the 36-hole playoff. Boomer led 139 to 146 after 33 holes before Massy conceded on the 34th hole. In the 1920 playoff Hagen beat Lafitte 149 to 154 in the 36-hole playoff. ^ "Golf: l'Open de France déplacé dans le calendrier et dégradé" (in French). Agence France-Presse. 29 October 2018. Retrieved 30 October 2018. 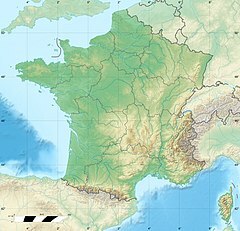 Wikimedia Commons has media related to Open de France. This page was last edited on 26 November 2018, at 13:53 (UTC).